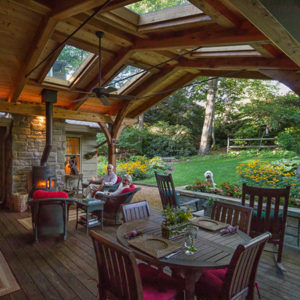 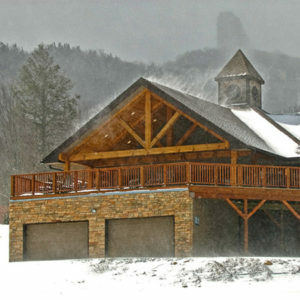 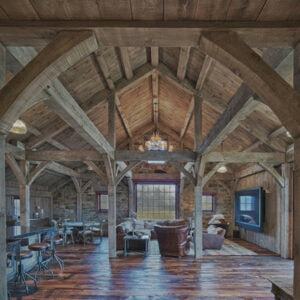 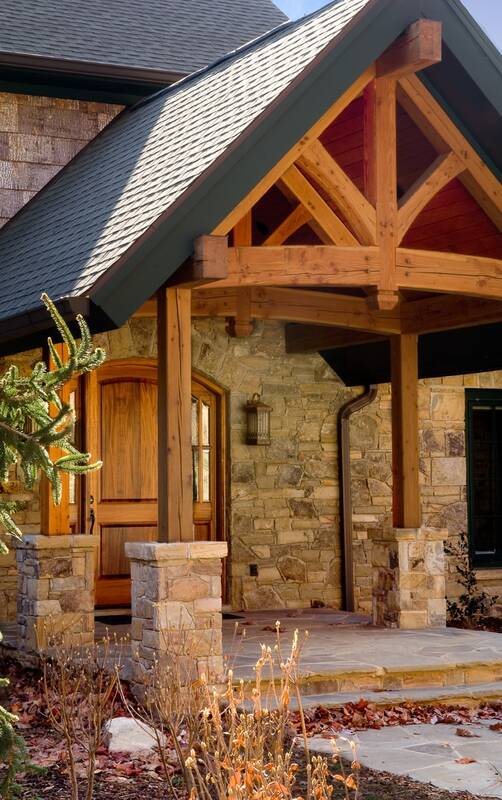 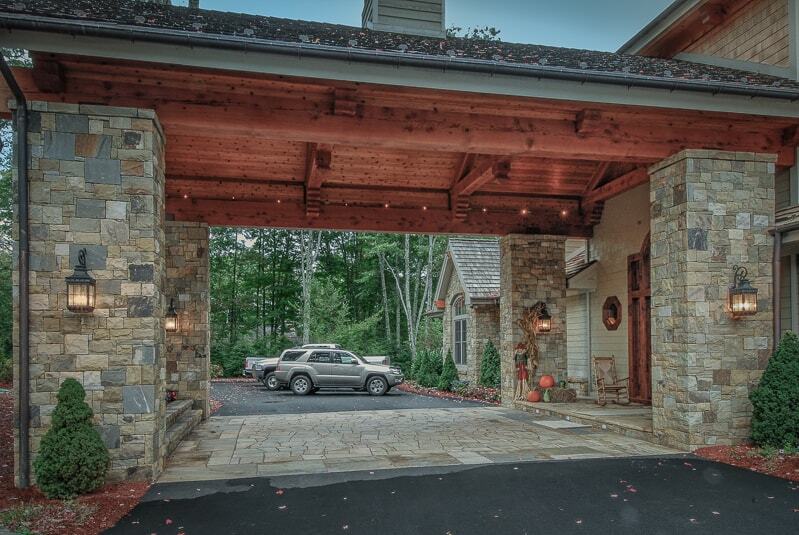 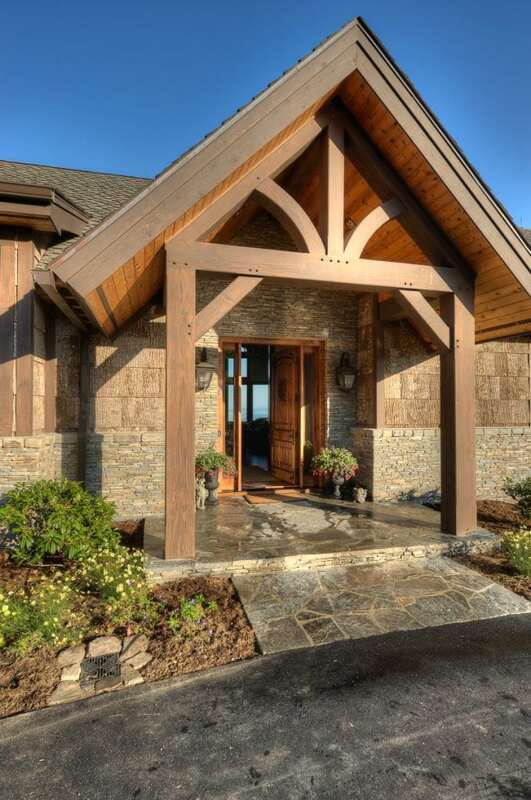 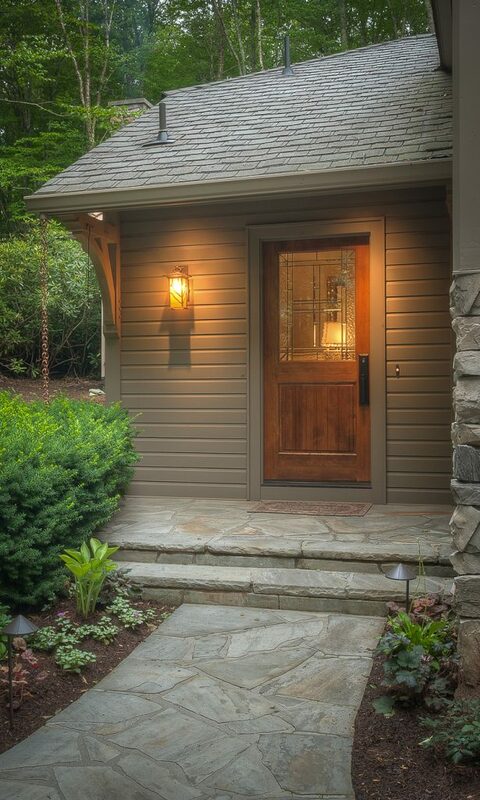 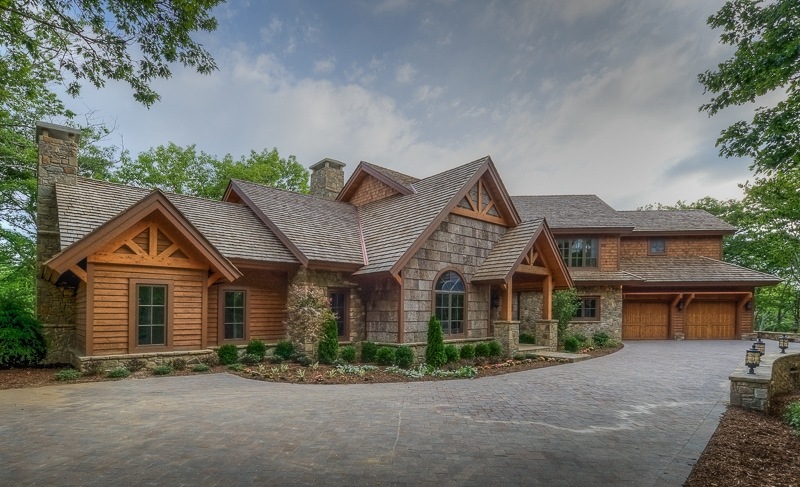 A timber framed Front Entry, Porch and Garage in Blowing Rock, NC. 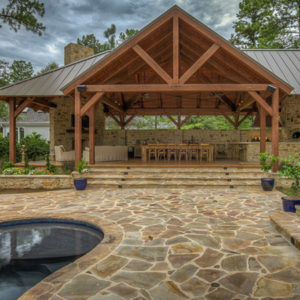 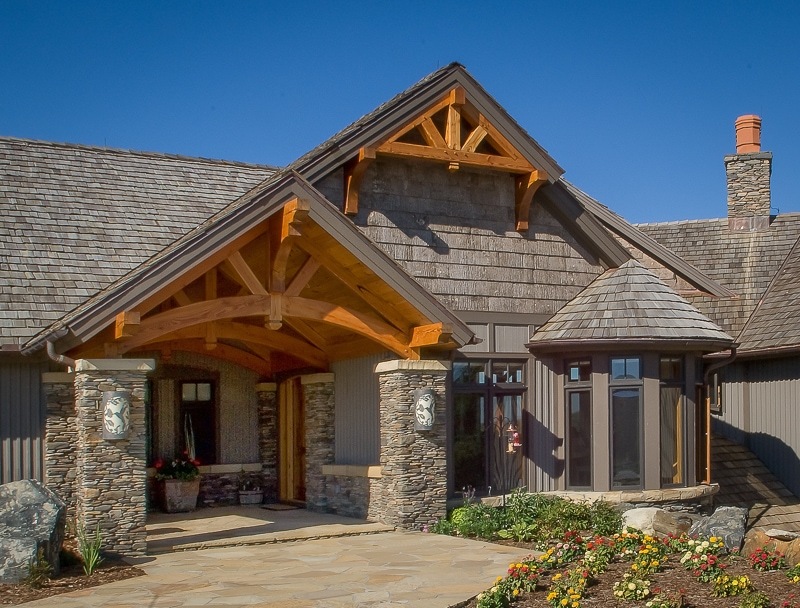 Design by Bradley G. Dowdy, AIA Architect Inc.
A great deal of love went into this owner-designed and built timber frame on Lake James NC. 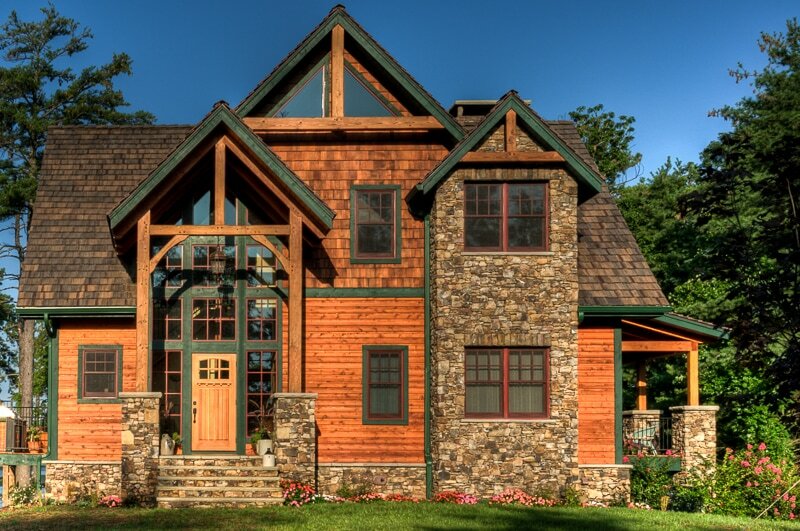 Bill & Gena’s lake house overlooks the South Holston Lake and across to the Cherokee National Forest–where the Appalachian Trail crosses the ridge visible in the distance. 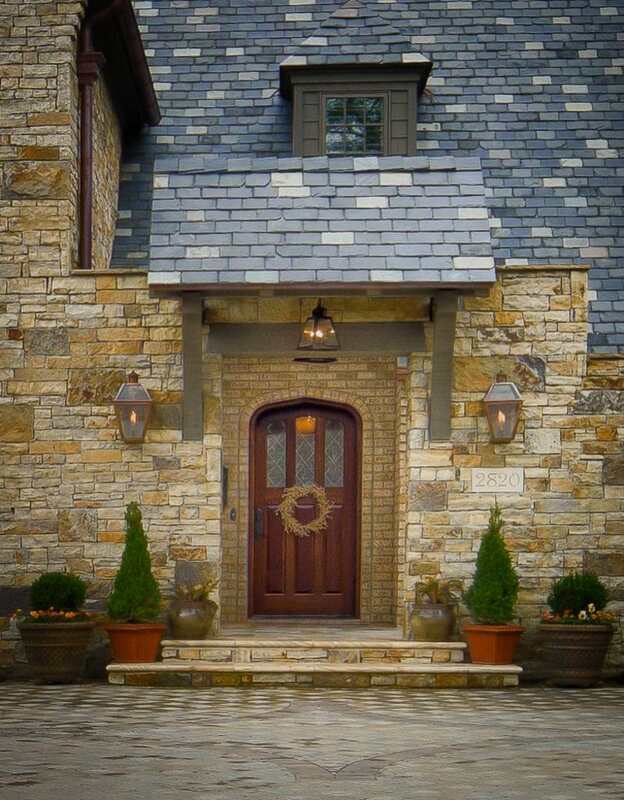 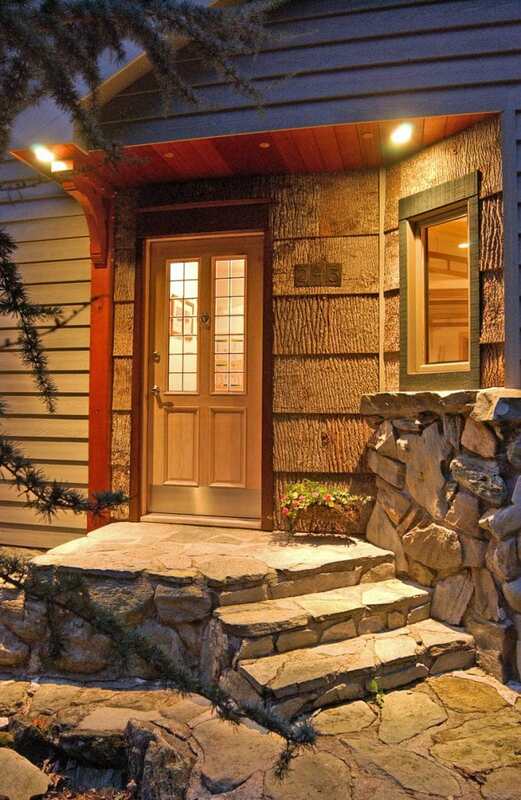 Stone steps, poplar bark siding, and a single timber framed bracket and 6×6 post at the entry to a timber framer’s home. 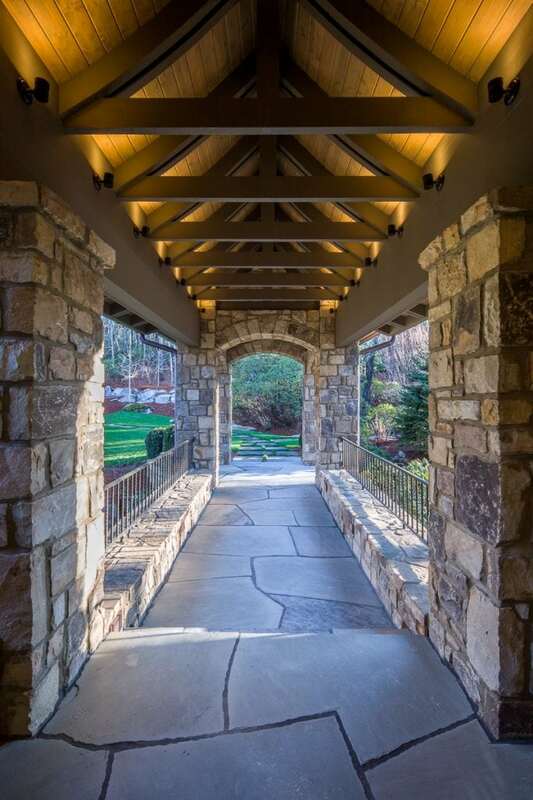 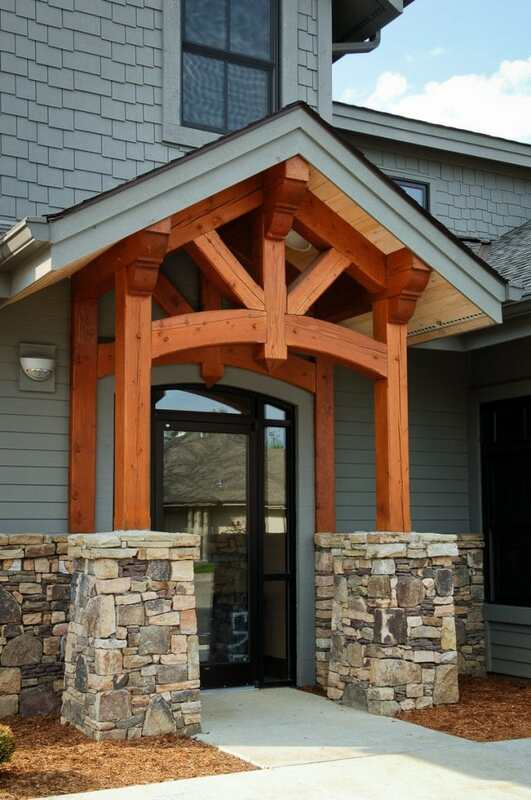 A timber frame Porte Cochere we built for a home in Elk River Club. 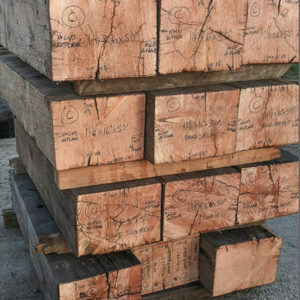 For scale, the main Western Red Cedar timber horizontal plates are 40′ long! 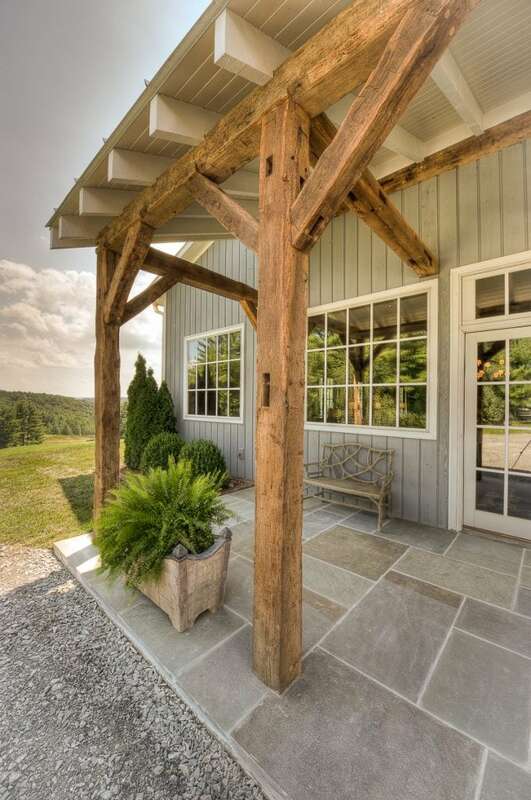 The White Oak timber used for the timber frame entry and gable truss will crack (check) as it dries in the hot Virginia sun over the coming years. 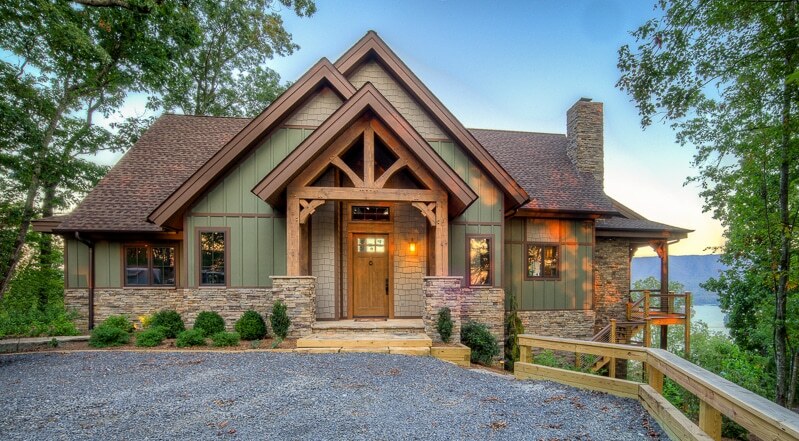 We think of this as like wrinkles in a cotton shirt–It proves the timber is real. 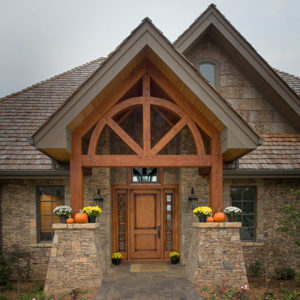 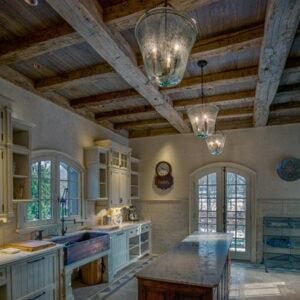 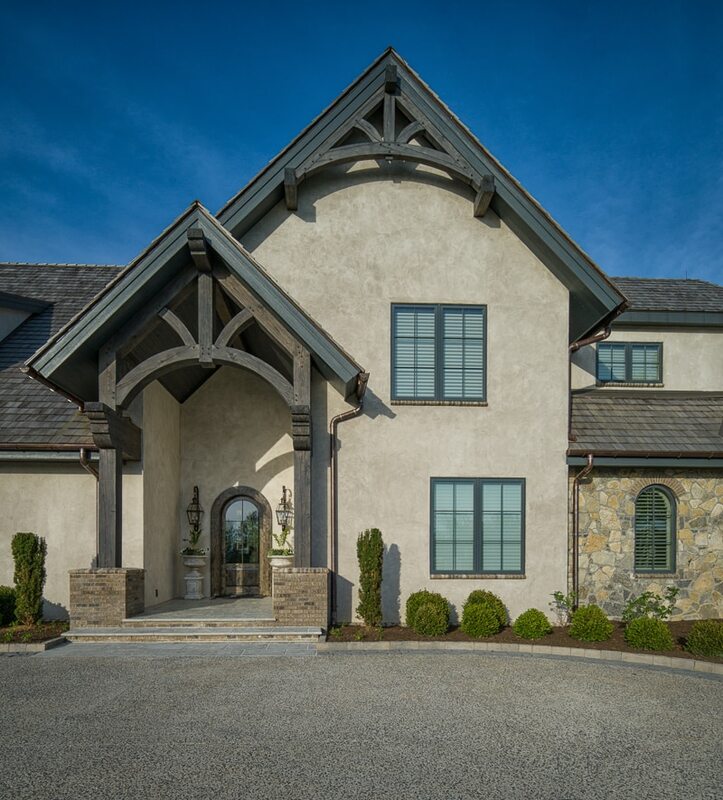 One design problem a timber frame entry solves is that it guides visitors to the main entrance of a home–as soon as they approach the house. 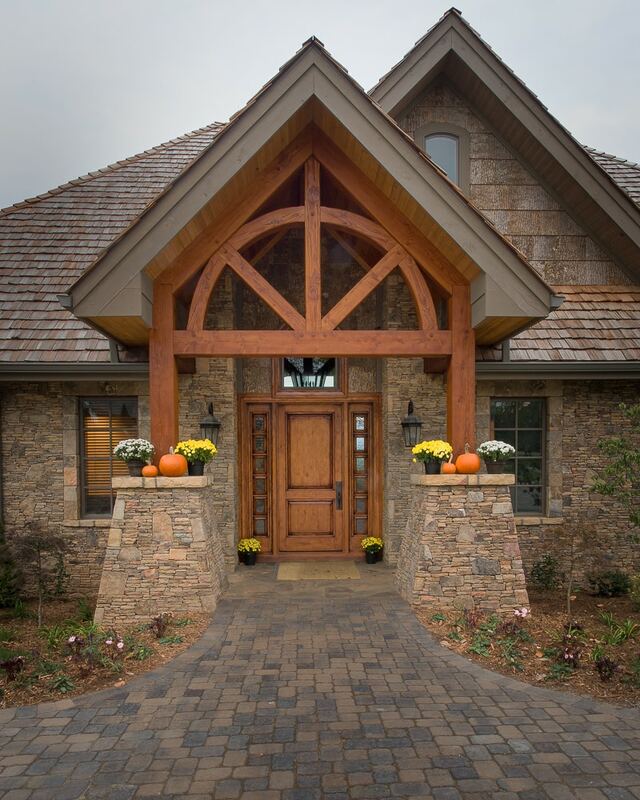 It makes finding the front door automatic. 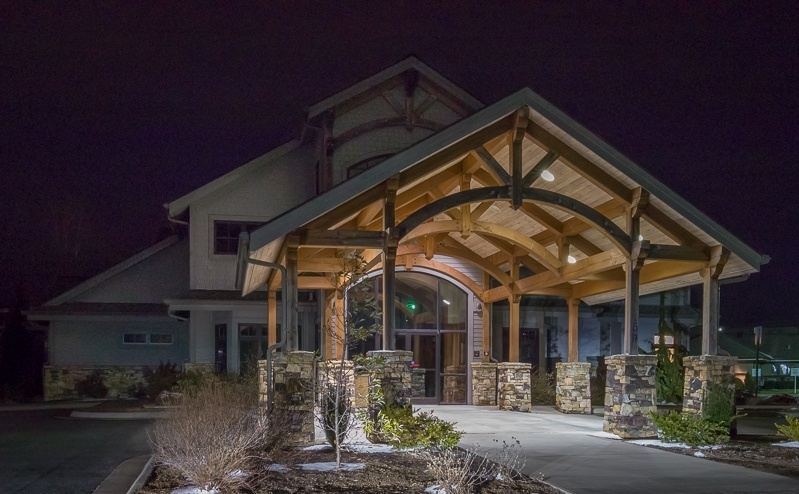 Timber Framed Side Entry to a medical facility designed by architect David Patrick Moses.